Whatever metal project you have in mind, we will build it. If you think of it, Kice can make it. No more working with several companies to achieve the product you want. 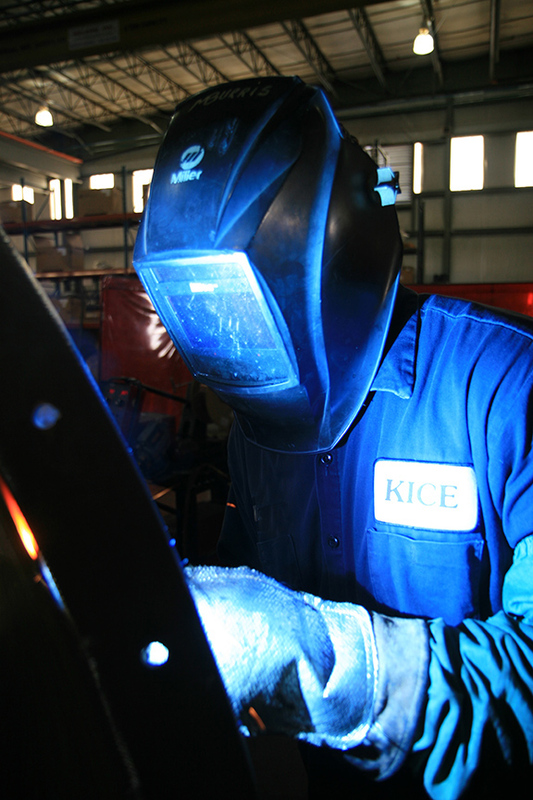 We provide a one-stop shop for any custom fabrication project. Our staff isn’t just good at their job, they are passionate about designing custom projects. If you need one part we can build it, if you need thousands of that part, we can do that too. Our shipping department builds their own skids and ships items daily. We have negotiated great rates for all types of shipments giving you the option to have us ship your items for you.